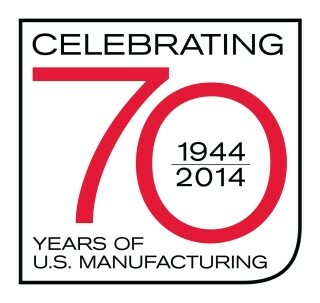 HSM, the global manufacturer of components and provider of integrated solutions to the transportation, furniture, bedding and a growing number of diversified markets, is celebrating its 70th anniversary this year. The company’s 70-year history has been marked by innovation and growth, as it has transformed from a components supplier to an international provider of high-value solutions, culminating in a complete rebrand and restructuring last year that included a name change and a new market-focused strategy. "HSM is definitely rooted in the values on which the company was founded – integrity, quality, innovation and a commitment to our employees and customers," noted David Colburn, HSM president and chief executive officer. "But we are also a company on the move, transforming the way we work to better serve the needs of our customers, proud of our past, but also excited about our future. We have a new corporate structure in place, a new name, supported by a new corporate logo, website and branding initiative, new facilities and new products, which are the result of innovation and integration – all in place to support opportunities for growth and carry us well into the next 70 years." Founded by Parks Underdown in Hickory, N.C., the company that is now HSM began producing sinuous wire, latex and polyurethane foam in 1957, adding foam pouring in 1960 and pouring and fabrication facilities in the 10 years that followed. The move to metal tubing and stamping and wire-drawing operations came later, even as the company acquired a number of businesses that expanded its footprint in the bedding, packaging, furniture and recreational vehicle industries. Industry firsts, including a patented process to produce a special type of fire-retardant foam and the world’s first bio-based foam, continued to propel the company forward, as did the acquisition of companies like the C.E. White Co. in 2012 and Summit Seating, Inc. in 2013, which helped expand HSM’s presence in the transportation seating market. Meanwhile, the company demonstrated an emphasis on research and development with the 2012 opening of its Corporate Innovation and Technology Center. As HSM Senior Vice President, Chairman of the Board and grandson of founder Parks Underdown, David Underdown is especially proud of the company's heritage and the many achievements that mark the last 70 years. "The value-added products and services that define HSM today can be traced to our humble beginnings in 1944, when what was then Hickory Springs Manufacturing Company manufactured coiled seating springs, edge wire and Marshall coil springs for the bedding and furniture industry," he said. "Today, I take great pride in this company and its employees, many of them third generation employees like myself, whose contributions over the years have defined our success. As a result, our product portfolio has grown to include more than 160 foam formulations and a wide selection of other wire, metal forming and fiber components, as well as a host of more complex integrated solutions, including transportation seating, motion mechanism systems, bed builds and recreational vehicle entry steps and bed systems."